theworldwidewebers | Üdv a Hortobágyi Rántott Vombat blogján! I first took notice of you on Instagram where you already have an extensive number of followers. Then I found myself simply in love with your site because your daughter is so cute, it is a pleasure to look at your pictures. So this made me really curious about your story. Please tell me a few sentences about the beginning! Who were you before you became a family travel blogger? I am an American expat who always loved to travel and decided that marriage, work, and kids were going to further that love, not extinguish it. My husband and I both worked in global industries for many years, which enabled us to live and work abroad. After having our daughter in 2015 we spent her first year exploring over 30 countries across 4 continents, which is when I started The Worldwide Webers family travel blog while my husband continued to work full time. We were living in South Africa when my daughter was born, so travel was inevitable for us in order to stay a part of our families lives who lived back in the USA. The baby flew 18 hrs for her first international flight at 3 months old! After we accomplished that we realized traveling with a baby wasn’t so hard and then our travel schedule spiraled a bit out of control. 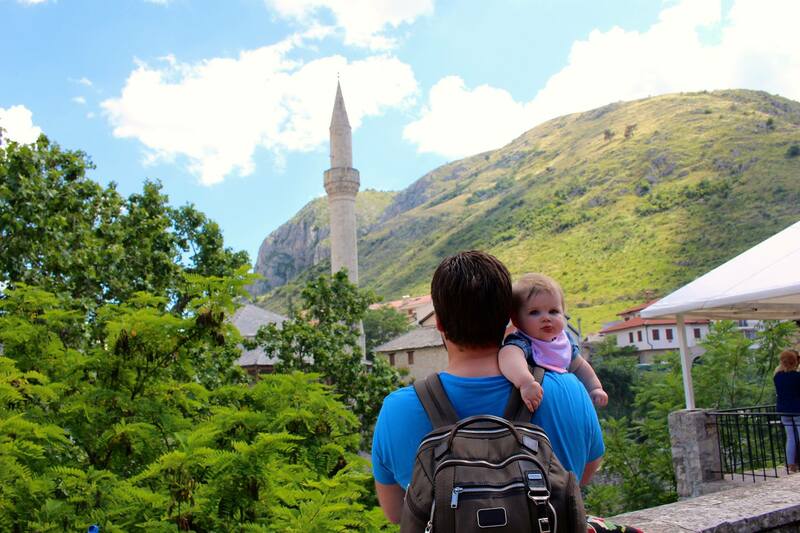 How did your travel habits and practices changed after your daughter was born? We definitely plan more with a baby or toddler in tow. Choosing nicer hotels, booking private tours so we can see more in a short amount of time while having the flexibility to stop as often as we need for food or diaper changes, more food research so we aren’t searching a city with a hungry and grumpy kid. All these factors play into a more successful exploring day when we get to our destinations. You have visited more than 30 countries. How do you fit all the traveling into your professional life? How do you finance your travels? Do you have any special tips for that parents who are living on a budget? In the last 4 years we’ve lived in Singapore, South Africa, Switzerland, and the UK. Working abroad in various locations has allowed us to keep our flight costs down, as we’re generally exploring only on the weekends due to my husband working full time. A lot of the destinations we pick are based off of where’s cheap and direct from our current home. Sometimes that’ll take us to places we never thought we’d visit like Liechtenstein, Cyprus, or Mauritius. I would advise people to be open to off beat locations if they want to keep costs down. And how did your family react when they learned about new lifestyle? Did they try to discourage you from it? My husband and I both come from very supportive families who question our sanity but have never discouraged us from our travels. With FaceTime and Skype we’re able to bring them along for the ride whether we’re exploring the canals of Copenhagen or the Serengeti in Tanzania. Most people completely give up traveling once they become parents. 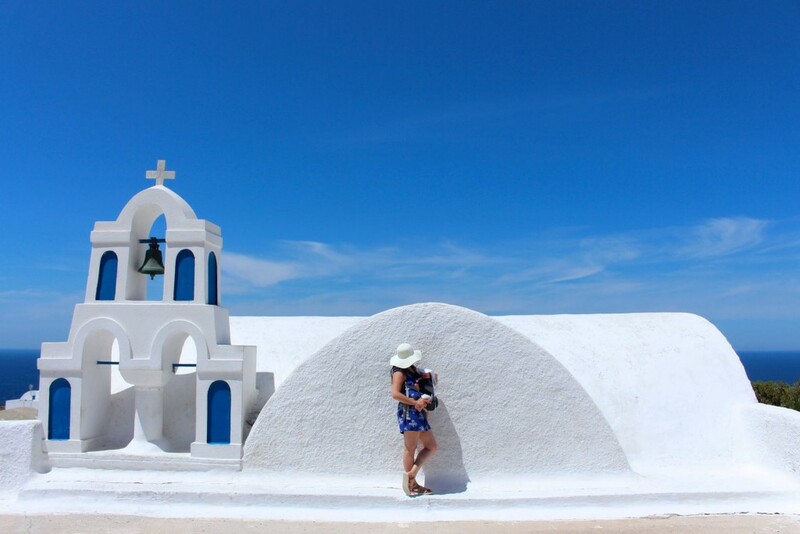 They say traveling with a baby requires so much energy, moreover it is dangerous and because of the baby`s needs for stability, they decide to stay closer to home. What is your stand on this? 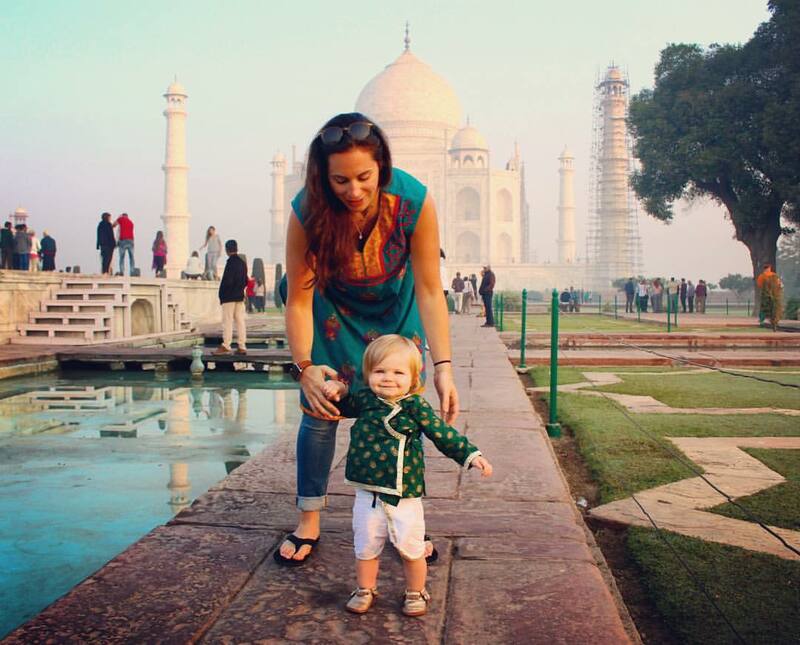 Traveling with baby vs. a toddler brings two different sets of obstacles. Babies are easy with less of a schedule, breastfeeding on the go, and a change of diaper anywhere you can find a flat surface. A toddler’s nap routine and food likes/dislikes can be more difficult to mesh into a travel day but certainly not impossible. I think routine and adaptability are both important for children to learn, because realistically life is not perfectly timed to a kids schedule. So the more kids and parents practice being outside of their strict routines the better everyone gets at it. 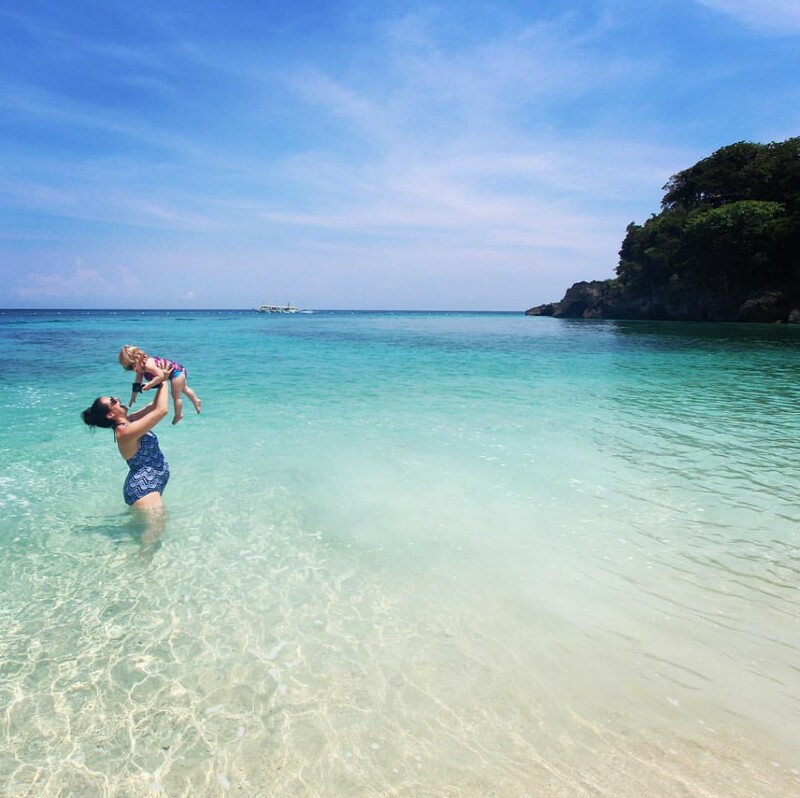 How do you think traveling can and will influence the personality of your children? At the age of 2 our daughter has been to 42 countries and my husband and I have been to over 80 each. Our next globetrotting baby arrives in August so we’ll see what they rack up as well. I think introducing our children to the sights, smells, and foods of other cultures only helps to expand their palates and minds. Also the fact that our daughter grew up sleeping in different cots, eating different things, this all helps her be a more flexible toddler that can survive outside of a strict routine. But realistically they may remember nothing and that’s all right too, because we as her parents will have the memories of these family moments forever. It is wonderful that you are expecting a baby again and still manage to travel and stay energetic. What’s your plan for that few weeks or months when the baby will arrive? Are you planning to stay at the same place for a while? Initially we’ll be in London while we wait for the new baby to get it’s passport and welcome our family and friends who will be coming over to visit. By November we’re hoping to take our first international trip as a family of four to Italy and then back to the USA to introduce the new addition to the rest of the family over the holidays in December. How long do you think, you will lead this kind of life? What are your plans for when your kids are ready for school? We’re expats not full time nomads, which is an important distinction. We love having different home bases wherever my husband is working and exploring on the weekends. I think we’ll lead this life for as long as we can afford to or for as long as we have the energy! Your whole story and your way of thinking is very inspiring. You have a huge impact vary influence on people. So, my last question would be: what’s your message to the parents (mothers) who really love traveling but they are still hesitating? You can get anywhere with enough snacks and diapers! What’s the worst that could happen? A tantruming toddler? A trip to a doctor? A baby crying in a public space? All these things can happen in your local town in your regular life, so you might as well have a nicer view and a passport stamp while you parent. Just get out there and go. Thank you so much for the interview and we wish you and the newest globetrotter the best! Did you like the story? You can follow The Worldwide Webers blog here, on Istagram or on Facebook. And don’t forget to check out Gyerekkel a nagyvilágban Facebook and Instagram pages!